A stirring story about the infectious pleasures of play. Matt is miserable. The subdivision where he now lives is surrounded by nothing but muddy fields of rocks and sticks. But when Matt ventures out, his imagination kicks in. He draws a muddy, winding line and names it Snake River. A pile of rocks becomes the Dog Tooth Mountains. 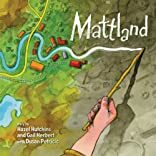 Just like that, Mattland is born. Soon a girl shows up with a handful of helpful odds and ends. Piece by piece, she and Matt expand their new world with popsicle-stick bridges and scrap-paper boats. And when a rainstorm finally threatens to wash everything away, all the neighborhood kids appear and help stave off the flood. 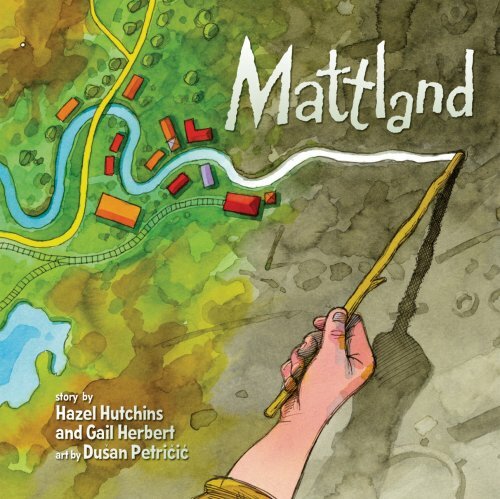 Evocative of childhood friendships and with sublime illustrations that brighten in color as the story progresses, Mattland is an inspiring ode to cooperative play. About Gail Herbert (Author) : Gail Herbert is a published author of children's books. Published credits of Gail Herbert include Mattland.